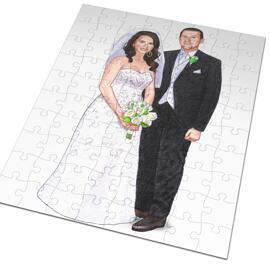 Order a colored caricature drawing from photo of groom as a funny wedding gift to him. 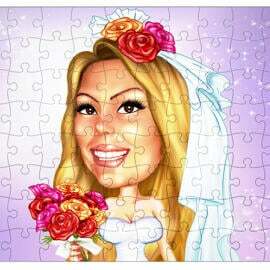 Caricature will be hand-drawn in colored pencils style on A4 or A3 Paper by professional artist from Photolamus. Such an awesome caricature will be executed within 3-5 days. 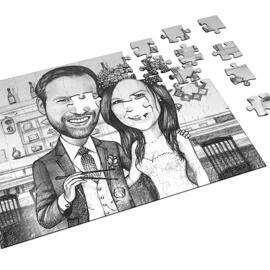 In case you would like to order a separate caricature of bride as a wedding gift idea to her, then we can draw them both separately. 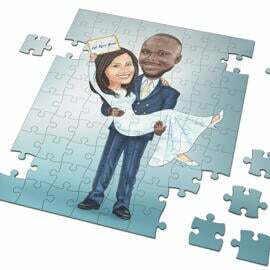 Caricature of groom will feature his original wedding suit, for bride caricature we can draw her in beautiful dress with bridal veil. Just imagine how amazingly will be looking their funny and in the same time cute caricatures, drawn on Paper, framed and hung above their bedroom at home. 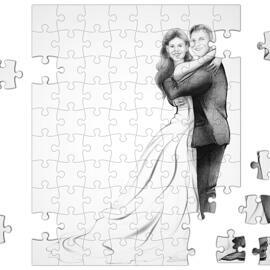 Such caricature drawings will preserve a sweet memories of their Big Day in life. In order to exclude all misunderstanding, please mention your requirements and ideas below and attach some photo of groom or bride with clear eyes and skin colors. 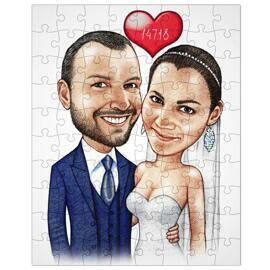 Caricature of groom will be delivered as a printable JPG File of high resolution on Email. 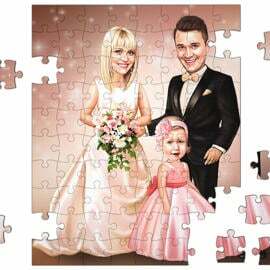 Additional delivery options at extra cost: Original Caricature Drawing on A4 or A3 Paper, Caricature printed on Photo Paper or Canvas. Worldwide shipping is available.